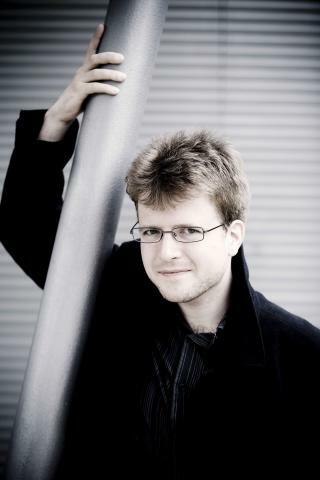 In 2018, Nils Schweckendiek will work with Chamber Choir Ireland on the Choral Sketches project. Nils Schweckendiek studied music at Clare College, Cambridge, and orchestral and choral conducting in Freiburg and Helsinki. In 2006 he made his debut at the Finnish National Opera with Richard Strauss’ Der Rosenkavalier and subsequently conducted numerous opera and ballet performances at the same house. Guest performances have taken him to the Leipzig Opera, Savonlinna Opera Festival, Vaasa, Berne and Bielefeld. From 2009-2013 he was conductor of the Ulm Opera in Germany, and recent guest conducting has included the Finnish Radio Symphony Orchestra, Tapiola Sinfonietta, Oulu Sinfonia, the Ostrobothnian Chamber Orchestra, Lapland Chamber Orchestra, the Finnish Baroque Orchestra, and defunensemble. Nils Schweckendiek is committed to performing the music of our time and has conducted around ninety first performances, including music theatre, orchestral, choral and ensemble works. In 2013 his performance of Einojuhani Rautavaara’s monumental Vigilia with the Helsinki Chamber Choir was televised on ARTE. His CD of music by Beat Furrer with the Uusinta Ensemble and the Helsinki Chamber Choir featured on numerous lists of the best recordings of 2016, including Preis der deutschen Schallplattenkritik (Germany) and the Sunday Times (UK). Since 2007 Nils Schweckendiek has been Artistic Director of the Helsinki Chamber Choir, which he has taken on tours to the United States, Scandinavia, Belgium, Russia and Estonia. In 2014 he was appointed Professor of Choral Conducting at the University of the Arts (Sibelius Academy) in Helsinki and since 2017 he has been Artistic Director of the Choir of the Helsinki Music Centre. He has also worked with the SWR Vokalensemble Stuttgart, Danish Radio National Concert Choir, Mannheim Opera Choir, Netherlands Radio Choir, and Croatian Radio and TV Choir. He is Founder and Artistic Director of the International Einojuhani Rautavaara Composition Competition, which was first held in 2012 and again in 2016.